People are living longer – and state pensions are getting smaller. Retirement ought to be the time in your life where you finally have the ultimate freedom to do as you desire. Planning ahead and knowing your rights as a retiree can all ensure you aren’t left restricted by your finances. Here are just a few ways to make and save money during retirement. You qualify for a state pension at the age of 65 – although this age is rising. You can defer your pension, which allows you to earn more. In fact, for every nine weeks that you defer, your future weekly allowance goes up by 1%. Alternatively, you can defer and then be paid everything you owe plus 2% interest in one big lump sum (after this you will continue to receive regular weekly payments). If you’re not at retirement age yet, you may be able to take some last minute measures to boost it. If you’ve missed any national insurance payments over the years, you may be able to compensate these off with a one-off payment, which could boost your pension by thousands. You can also make extra contributions with the help of your employer at any time, certain to further boost your retirement earnings. 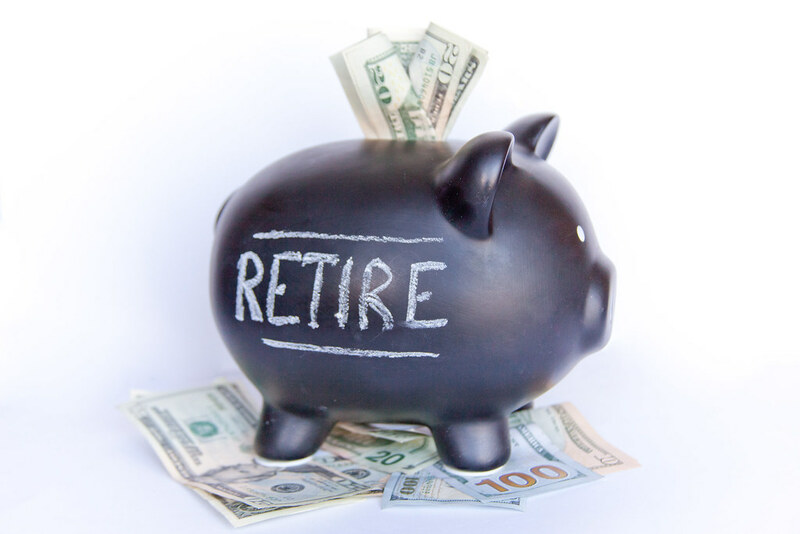 Some people may opt to save up an emergency fund for retirement. This can help pay for medical costs and other large payments that can strike in latter years. Paying small contributions each week could cover this and could allow you to raise your deductibles on insurance schemes such as medical insurance, life insurance, property insurance and vehicle insurance, lowering your premiums. Many people choose to pursue their dreams of moving away in retirement. Where you retire can have a big effect on your finances. Those willing to sell their current home may be able to move to a less expensive home and then have extra funds to play with which can be used to live out retirement in a little more luxury. Downsizing is a popular option. If the kids have moved out – or in more tragic circumstances a spouse has died – there may not be any physical need for your current home. Selling up and moving to somewhere smaller could give you a lot of money to spend at your leisure. Excess possessions can be kept in self-storage if you don’t want to part with them. Another option may simply be to move to a cheaper location. Those living in or near cities may be able to move somewhere more rural and make a huge profit when selling up. Without the needs to easily commute to work, location becomes less of a barrier. For those that have grown an attachment to their current home and don’t want to move, there are still ways of financially bettering oneself. Many people that have been living in their current home for years may choose to release the equity in their property. Another option may be to rent a room out to a lodger. There are all kinds of bonuses and perks that accompany retirement. Making use of these could cut costs from your everyday living expenses. Free bus travel is one of the major perks of getting older. If you drive and own a car, you may be able to cut costs of fuel by using your vehicle less often and taking advantage of your local bus service. It can also come in use when travelling elsewhere in the country, allowing you to get around major cities for free. Those that are avid TV watchers or like a good film can also get bonuses. At the age of 75, you can apply for a free TV license. Many discounts for theatre and cinema tickets can also be found online available only to senior citizens (you may be able to get some theatre tickets for a third of the price). As for medical costs, you may be eligible for free prescriptions and sight tests over the age of 60. Opticians and pharmacies may also often provide massive discounts, worth taking advantage of. Finally you may be able to save money on studies. There are all kinds of bursaries, award funds, grants and free courses open to mature students. It’s never too late to learn new things. Billions in benefits go unclaimed every year by pensioners. Pension credit may be available to those under a certain income, giving you more to live on during retirement. Meanwhile, if you’re a carer looking after someone else, you may also be entitled to carer’s credit. Similarly, for those born before 1953, winter fuel payments may be an option. This could allow you a grant to pay for gas and electricity when the cold winter months set in, although often requires you to be under a certain income. Not everyone chooses to quit work in retirement. Whether you go part-time or reduce your responsibilities, you may be able to loosen the burden of your current job whilst still earning some extra income. Some people may choose to work closer to home to cut out commuting costs, whether it be doing a couple shifts at a local shop or helping out with the community in some way. There are also many methods of working from home thanks to the wonders of the internet – you could put your passion into a creative hobby such as carpentry, knitting, pottery or art and then sell your work online. Alternatively, for those that aren’t as web savvy, there are plenty of local opportunities to lend your services – you may be able to grow fruit or vegetables and sell them locally, or even write a book and see if you can get it published. By having the extra time to invest in your hobbies and the ability to work at your own rate, you could be able to make money doing what you love. Death is costly – whilst it may be a gloomy to have to pay for, many people will choose to put some money aside or spend ahead in order to cut the cost for their children and relatives. One method is life insurance. There are now some companies such as lifeinsuranceforseniorsover80.com that even provide life insurance for those in their eighties. Making small regular payments could provide a large payout when you die that could pay for funeral costs and inheritance tax. Another option is to pre-plan your own funeral. As with every services, rates are constantly going up. By paying now, you could save huge costs compared to rates further down the line and be eligible for various discounts. It also pays to deal with the outcome of your possessions beforehand. Writing up a will with the help of a solicitor could prevent all kinds of legal costs for your loved ones when inheriting your belongings. You should also check how much inheritance tax your loved ones may be likely to pay on your property. The government assesses the worth of your property when you die – a tax of 40% of its value could have to be paid by whoever inherits your home. Fortunately there are inheritance tax planning services such as wealthinvestment.investec.co.uk that could help lower these costs – well worth looking into to ensure your loved ones get what they deserve.